Phil and I decided to test our mettle on this tour as part of conditioning for the Northern Rockies later this month. 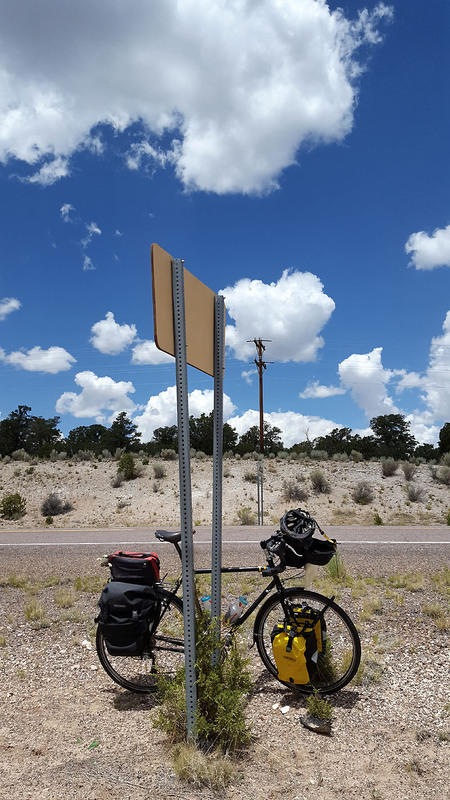 I’d actually ridden this back in 2008 on my Trek road bike, and then again in 2010 on the Surly unloaded, both times supported by the GABA Tucson group. But this time we’ll ride it unsupported and thus carry all our clothes and provisions in panniers. We did decide to stay in motels, alleviating the need for tent and sleeping bag. 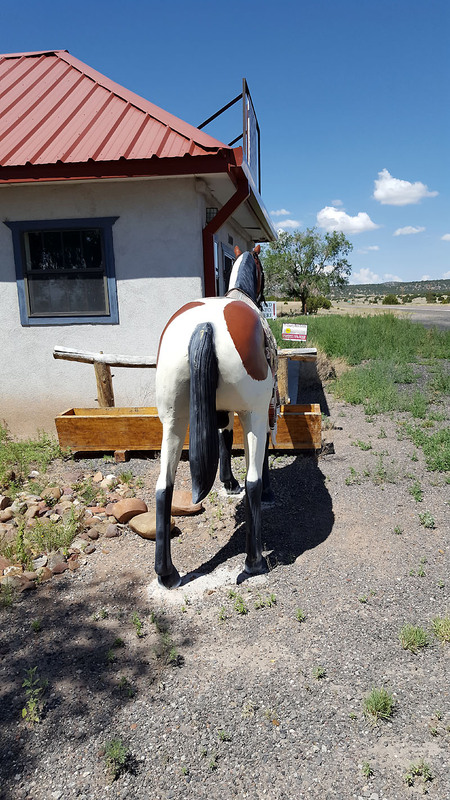 We drove up Thursday evening and stayed at the Rode Inn in Springerville, opting for beef and beer at the Safire Restaurant across the street. In the morning, we breakfasted early and then set off to the Safeway for ride provisions, since there are no services out on the route. I bought a big sub sandwich, Pop-Tarts, and 4 liters of water for the 50 mile trek – oughta do it. Phil and I headed east on Hwy 60 feeling good, but I soon started feeling sluggish, tiring easily up each slope. Some days are like that. 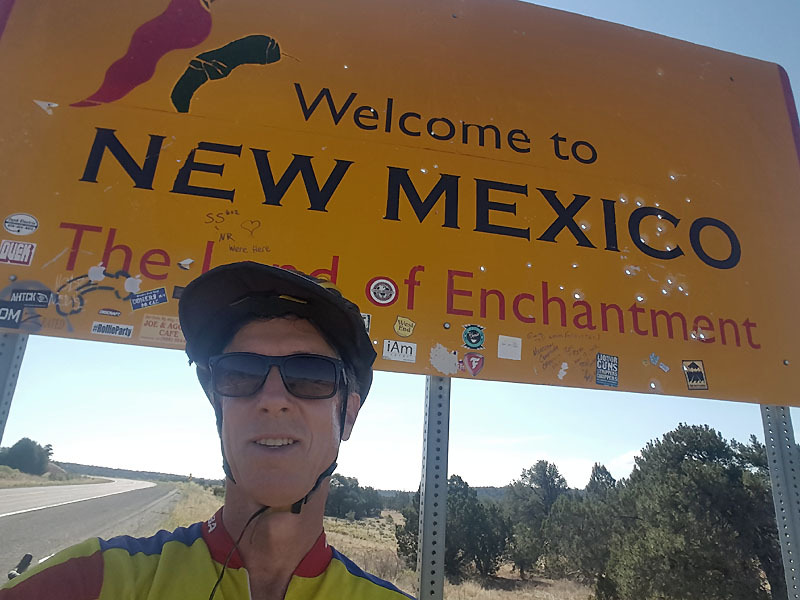 For me, it seemed like a long ride to the New Mexico state line, though only 14 miles. It struck us both how the US60 highway shoulder disappears in New Mexico. 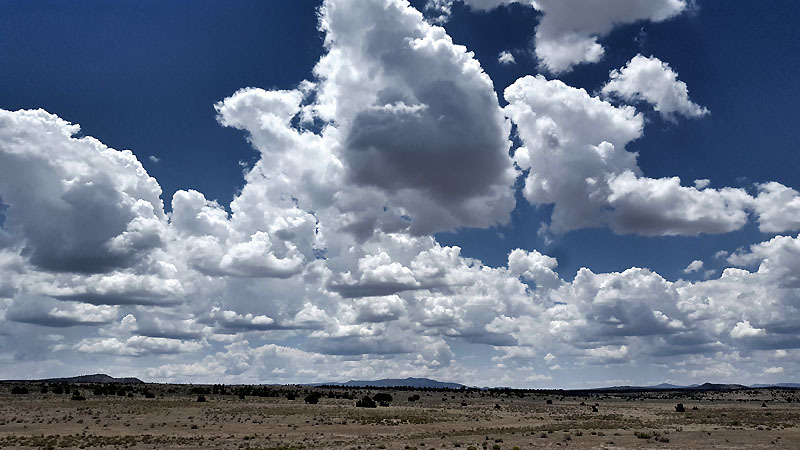 [C’mon New Mexico – get with it.] 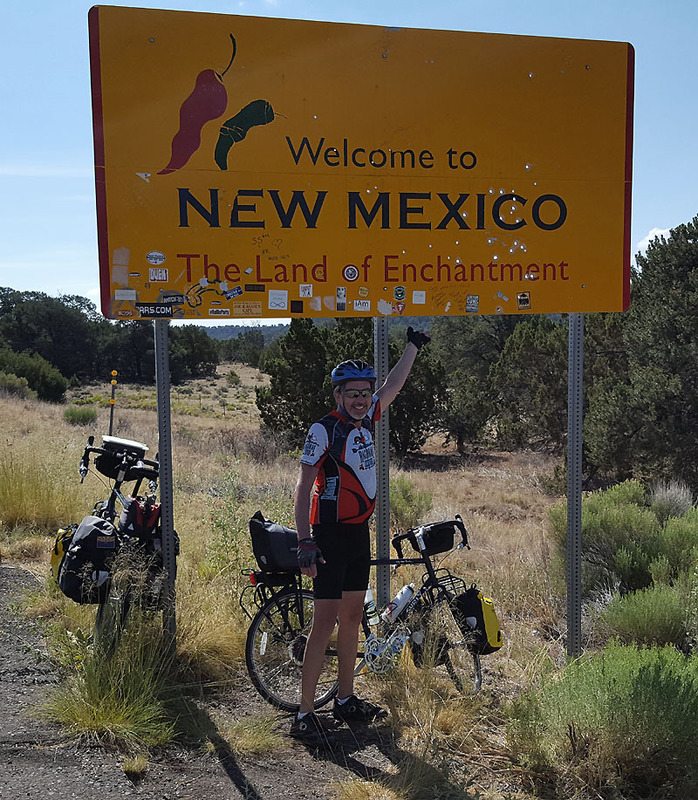 After 10 miles I stopped to regroup with Phil and was surprised to wait more than ½ hour. When he appeared I learned he’d stopped earlier than me and rested, which is exactly what he should do – smell the roses. This, too, is all part of the conditioning, if nothing more than to get in sync with fellow riders and their habits. From there Phil took off in front of me for a few miles, but we regrouped again at MM18. The winds picked up directly into us, which can be a dramatic effect on a loaded rig. Temps rose up to about 90F and we were fed a steady diet of 100’ and 200’ hills. The riding became a labor. I sought shade but found none, so I just kept riding. 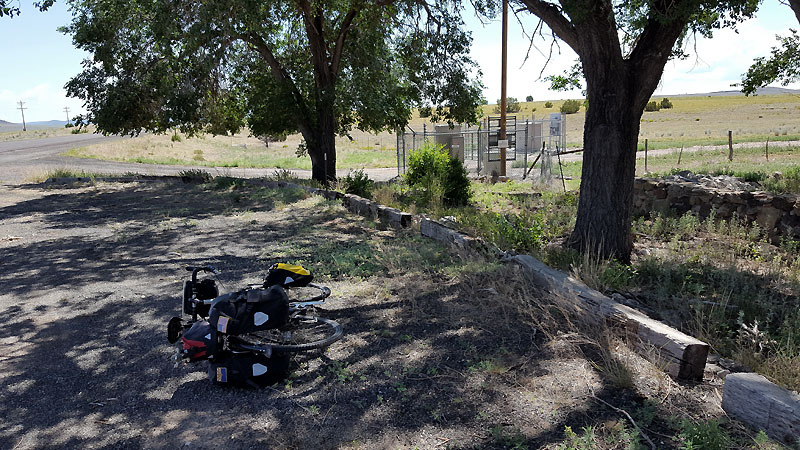 About 8 miles outside Quemado is a big downhill, so I stopped to regroup just before it, playing with an ant hill for quite a while. The 5 previous miles had contained 2 steep sections which required my granny chainring due the headwinds. Wow – I had not remembered those, but riding loaded certainly is a different beast. Pretty tough conditions – I’d already consumed all 4 liters of water too. 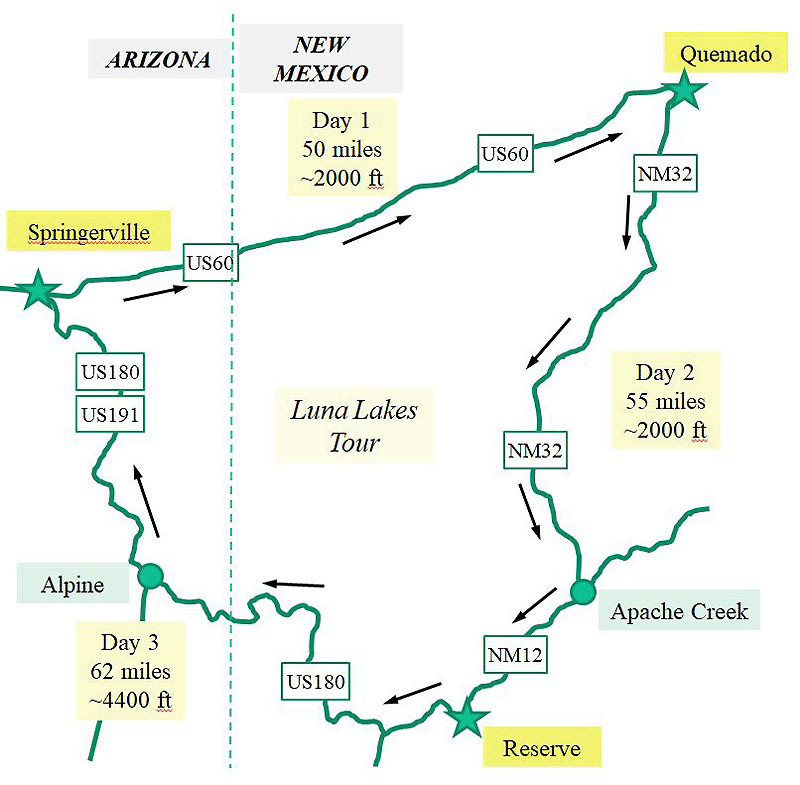 The downhill was great in 2008 and 2010, but today with the headwinds, well… The sensation was of being in a 40 mph wind tunnel, but then you’d look down and realize you’re only doing 16 mph, and then you have to pedal! 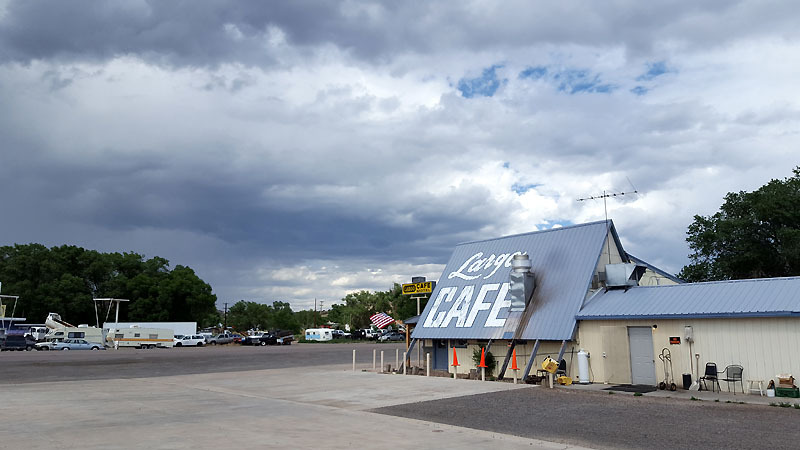 About 3:30pm, we found our digs for the night, the Largo Motel and Café. Super chill place. Both of us were pretty wracked but still had fun out there today. Seinfeld, then dinner at the Largo Café. Phil was not feeling well and only pecked at his salad and soup. 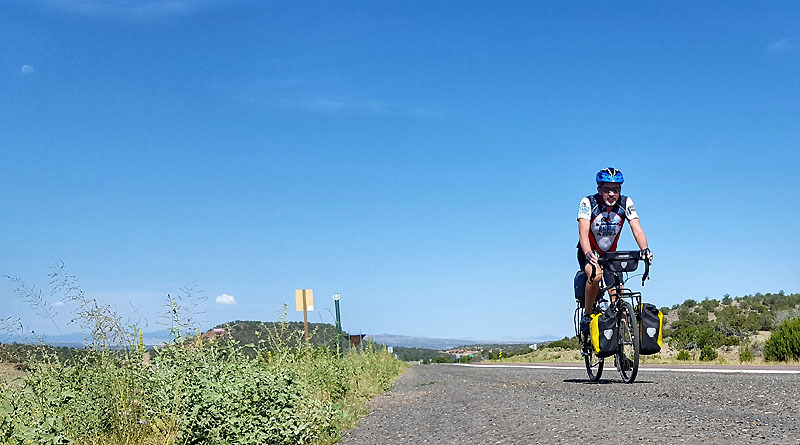 He may have worked too hard on Day 1 – saying this has happened to him on other rides. 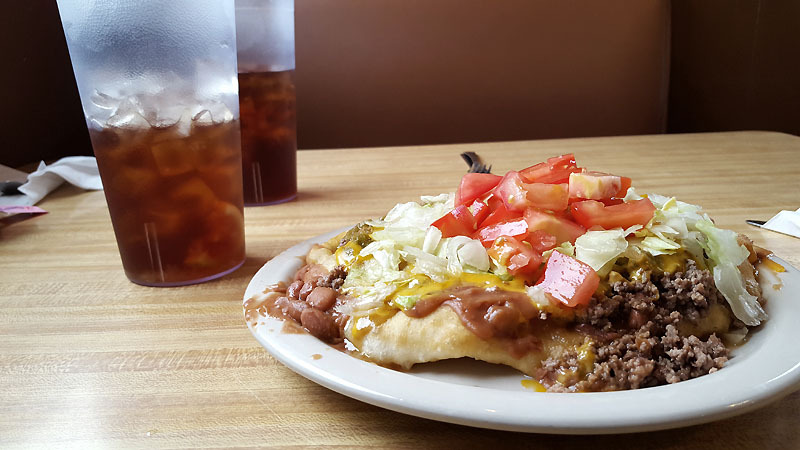 I had something called a Navajo Taco, which turned out to be Indian fry bread smothered with ground beef, cheese, tomatoes, lettuce, chilis, and beans. It was good but needed flavor, so I ended up dousing the thing with sugar and salt. Must need electrolytes. By 7:30 Phil hit the great white biscuit. I was a little worried about his stomach – hope he’s OK tomorrow because I know he’ll need plenty of calories. For me, Goodfellas on TV. 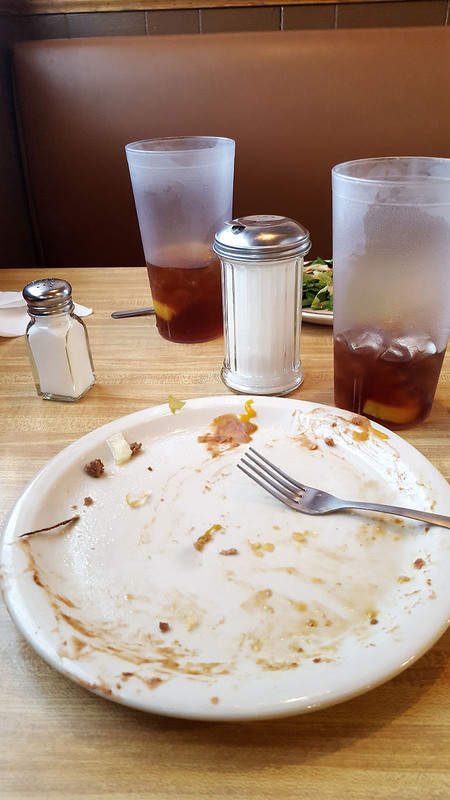 After that Navajo Taco, plus a few gruesome murders, my stomach was sort of upset too. Fairly challenging day today. The legs felt 10% shot, and my equilibrium just sorta off. All part of conditioning – I hope.